This statistic shows the net income generated by Sony between fiscal year 2007 and 2017. 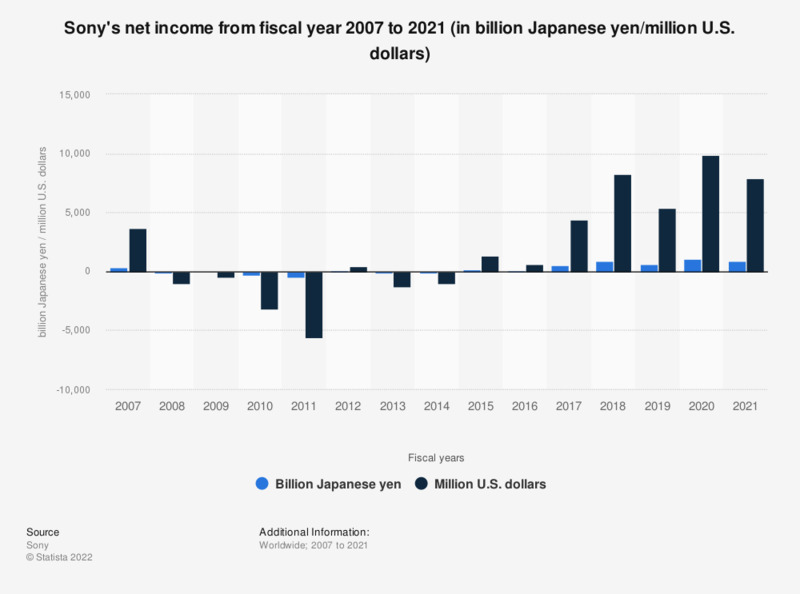 In its 2017 financial year, the net income of Sony amounted to approximately 4426 million U.S. dollars. * Sony's fiscal year ends on March 31. For example, the fiscal year 2017 ended on March 31, 2018. Everything On "Sony" in One Document: Edited and Divided into Handy Chapters. Including Detailed References.